Delicious? Absolutely! 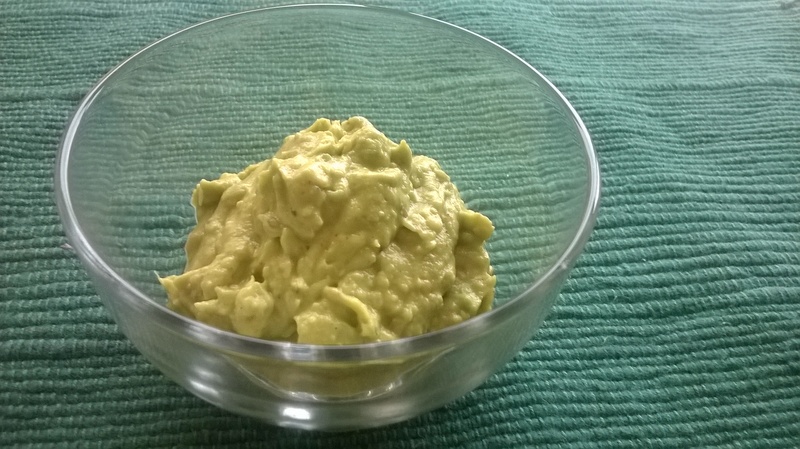 This recipe makes for the perfect starter dish for lovers of good food and it is also really easy to create. This being the first time I had tried these little beauties from Riverford, I was well impressed with the outcome, such a delicate and graceful way to enjoy veg, just sorry I didn’t get to it sooner! If you haven’t tried these yet, it’s time to get your veg box on and enjoy the wonders of nature! 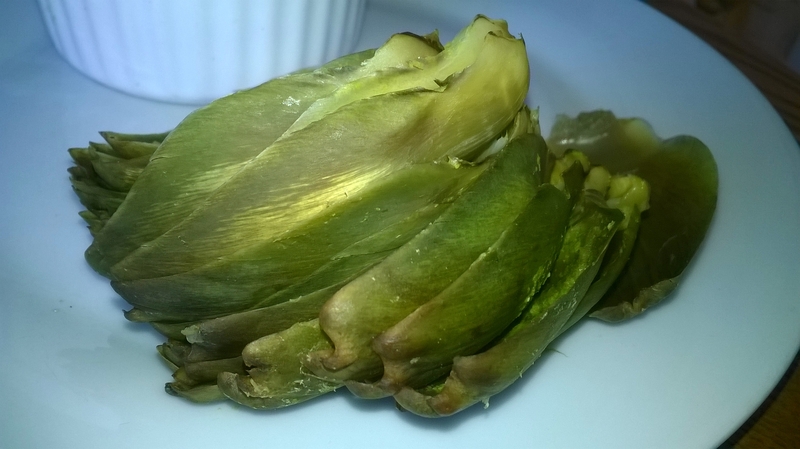 Wash and shake the artichokes, cut away the stalk and remove all the rough, outer leaves. Boil in a pan for approx 35 minutes. When the artichokes are ready use the same pan and boil the cabbage and tomato for approx 3 minutes. Add them to a blender, add all other ingredients and blend for 1 minute. 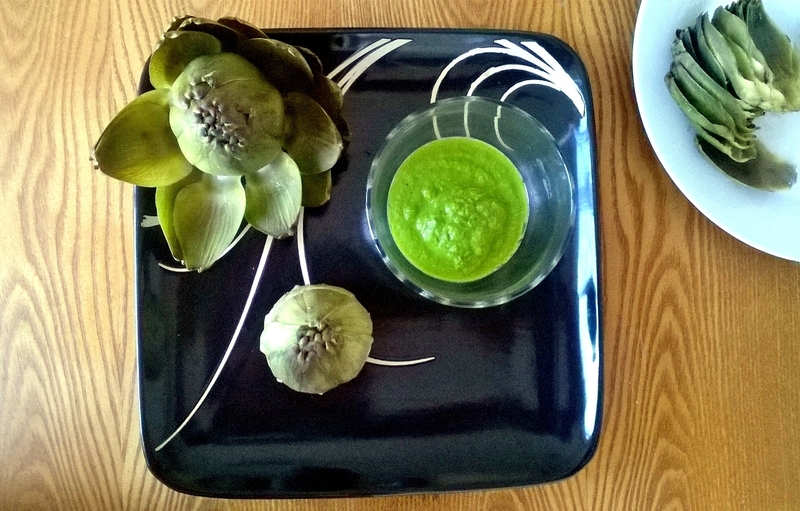 The best way to eat this vegetable is to pull off a leaf at a time, dip it in the sauce then gently glide your teeth from the top of the leaf to the bottom and slide out the ‘meaty’ bit! I loved trying them without the sauce first to appreciate both ways. Once you have finished each leaf pile them up and repeat until you get down to the flowery part. Satisfyingly delightful and very tasty! Mix all the ingredients together in a bowl with a fork. 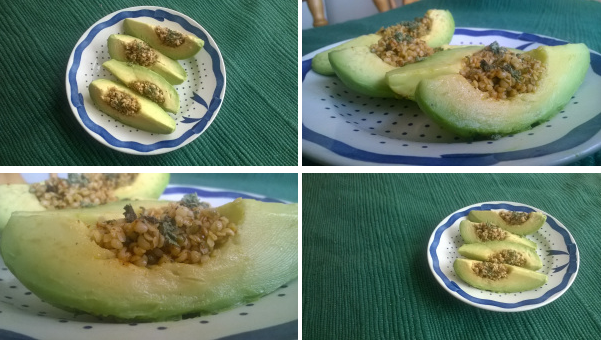 Transfer into a clean bowl and serve. This plate of food tasted amazing, like a vegetable curry and I just totally winged it so excuse the quantities please! 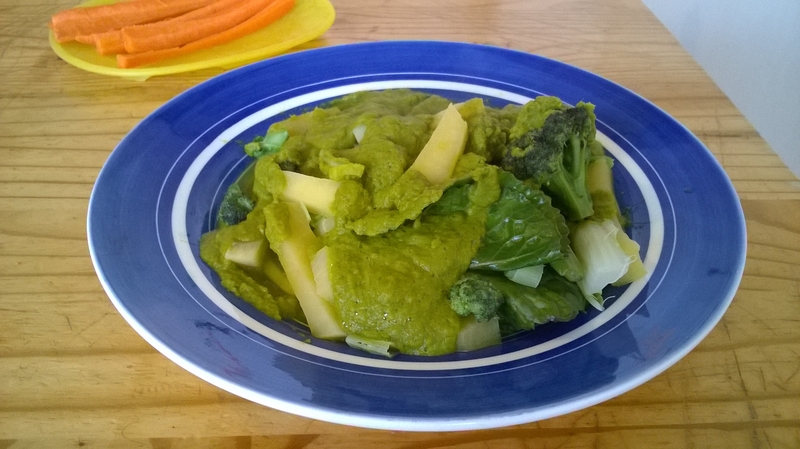 This dish is to keep Candida overgrowth at bay in a delicious way as well as being great for promoting weight loss. Swede (Rutabaga) is known to help combat candida as are spices so feel free to add amounts to your taste. 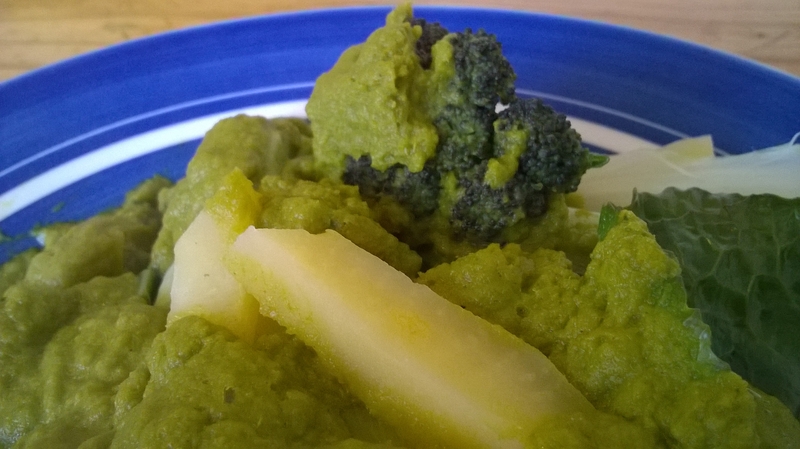 Bear in mind that too much swede will write of the weight loss factor in this recipe. All vegetables are from Riverford Organic Farm – please visit their site Riverford.co.uk for the freshest food the UK has to offer. Cut away the leaves for the sauce and put to one side. Chop the swede, spring greens and leek into small amounts. Steam all the veg for about 7 minutes. Remove the veg and drain. Add the leaves for the sauce, the spices and the water to the blender. Arrange the vegetables on a plate and decorate with the sauce. Unruly and delicious! Spring Greens from Riverford are a huge spring hit, come to think of it so is every single food we are gifted in Spring. Nearly every week I have had these added to the order and they are the perfect hardy greens. These immature cabbages with wild style leaves certainly add character to any kitchen. Spring Greens are mostly like Kale as they do not have the hard head at the centre, I like to call them baby cabbages and they are a real source of nourishment if not over cooked. I just steam mine for around 5 minutes to loosen up all the goodies! They do not have an overpowering ‘cabbagey’ taste which makes them perfect for adding to the boys mash for their dose of greenery! Low in calories and bursting with nutrient goodness this vegetable is not one to be missed. Containing high levels of Vitamins A, C & K, and with fiber, iron and calcium all included too Spring Greens surely are a winner for the heart. Check them out for yourself for only £1.75 per 350g from Riverford.co.uk. 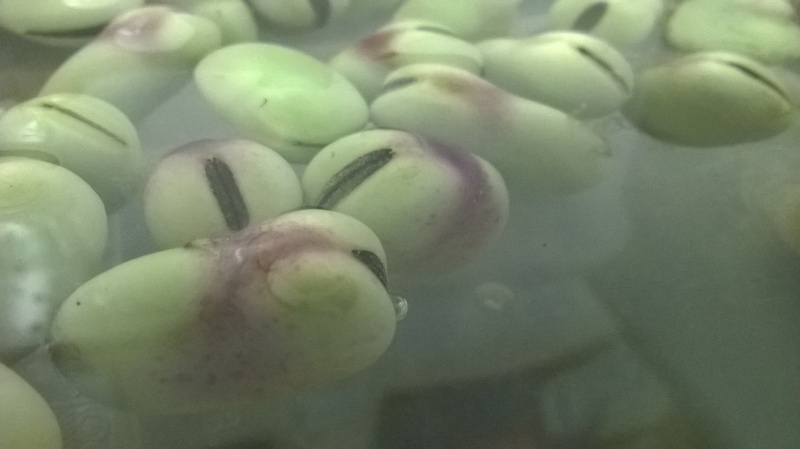 UK Broad Beans in soak. Amazing! Yes, I just tried these amazing leaves for the first time in a Wild Garlic and Cayenne Spring Salad that I made and it complemented everything just right. Collectively the salad was a very delicious one and these little beauties now have a place in our home. The Riverford delivery arrived yesterday and I couldn’t help but nibble some of the fresh Wild Garlic leaves straight out of the bag. I think the plant tastes fantastic, most definitely fresh! Hello organic! In season at The Farm – A Box Full Of Beans! These beans that I speak of are the classic Organic Broad Beans that are currently in season and in the vegetable boxes on The Farm. They can be purchased at Riverford Organic Farms through the online store via the Fruit and Veg section using the link above in this post. The beans also come with free recipes about them that can be found in the recipe section via this link here. If you don’t already know about Riverford, where have you been?! They are a superb organic farming company with 3 main farms in this country and a couple in France. The staff work extremely hard to provide an abundance of fresh and a truly nourishing range of foods and beverages. Vegetables, fruit, meat, dairy, drinks of all sorts, bakery goods and handy items for the home can all be found on their well thought-out website – Riverford.co.uk. They do a range of boxes if you fancy refreshing your diet and changing up your shopping list with just a few clicks, or there are different sections for you to choose your own produce and make your own list. It is all organic and delivery is free providing you spend £12.50, already sounding good right? When you place a regular order through me you will get a box free and a free recipe book 🙂 Sounding fab now isn’t it. Always wanted to make the jump over to deliciousness from mundane supermarket aisles, online stores and not so great foods that are chemically dangerous instead of healthy? Now is your chance, and best of all the overall price you spend will be a tiny fraction more than what you spend now because you will have pure quality health over quantity and affordability. The guys at this company totally changed my life around, I am so happy with the nourishment and well-being I get from eating Riverford’s outstanding organic foods that I spend next to £0 on impulse foods. The budget is set and we know we are always getting a great deal. An honest and friendly member of the team will arrive every week on the day allocated to your area without fail with smiles and boxes full of goodies, you will know it is them at the door as I swear the boxes glow! If you would like to place and order and receive the free welcome gifts stated please do get in touch via our Contact Page and we can get you set on your way within minutes. If you would prefer to trial them yourself then pop over to the website give them a try, or alternatively you could call them on 01803 762059. Trust me you will never loose out or feel hard done by and you will probably never look back if I am honest. You can feel the quality instantly and then when you live it, you know. For a further detailed review on the farm in Hampshire please see a previous article I wrote on The Farm. Boy am I glad to say that! This member of the cruciferous family, at an average of around 105mg of Calcium per 100g of raw Pak Choi, is a delicate source of greens, truly an Asian treasure. A treasure that was definitely on this weeks list! 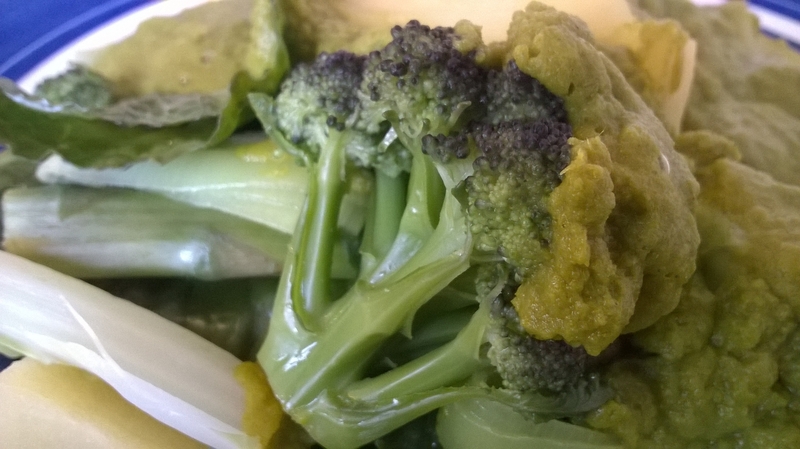 That level of Calcium is ranking higher than Broccoli per 100g and seeing as this veg is also rich in Vitamin C it is most definitely therefore making its into my families meal times wherever possible. I just love raw food and discovering the true goodness of the Chinese cabbage really made me listen in and focus (well try to, given the stage of the moon we are in). Our source of Pak Choi comes from Riverford Organic Farms where it arrives in a beautiful, clean, well packed condition. 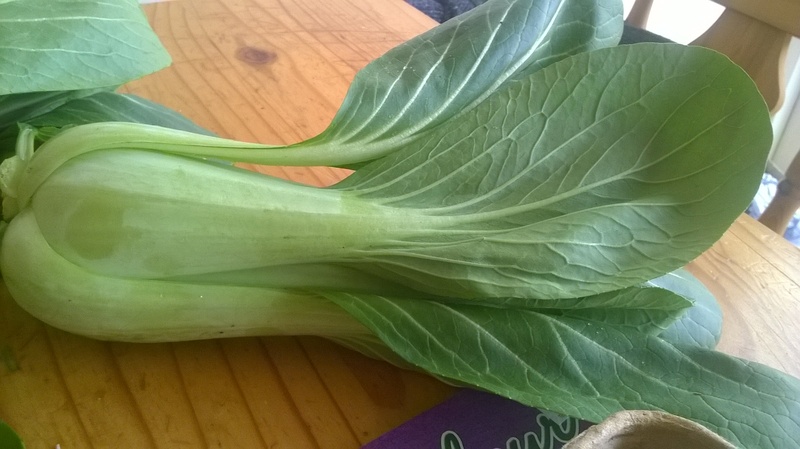 Pak Choi is a delicious addition to any meal and can be enjoyed lightly cooked (steamed or lightly stir fried) or eaten raw in salads where this vegetable holds the most nutritional value. 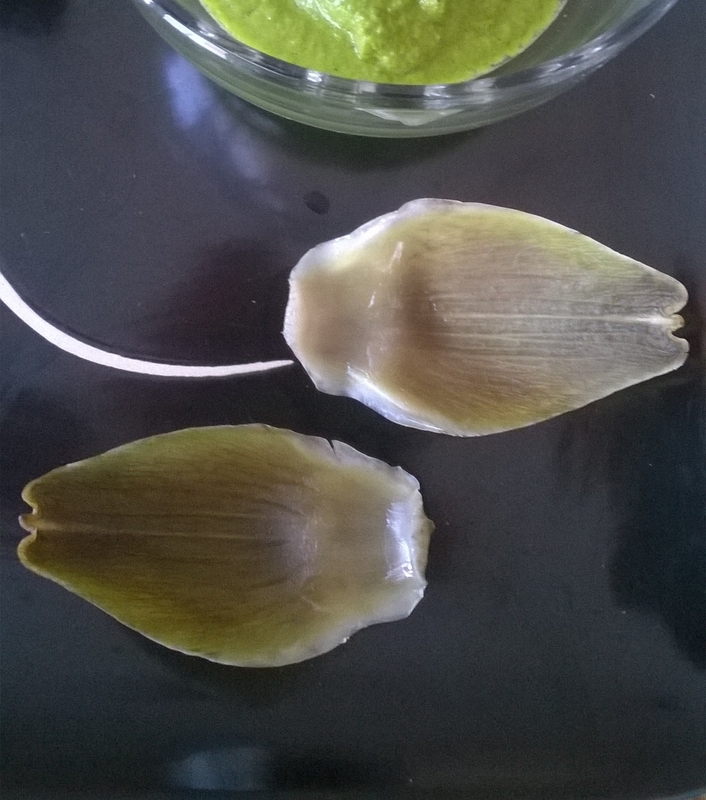 It has smooth and tender, large, thin leaves on a crunchy stalk with a mild ‘green’, pleasant and earthy taste. I used some tonight in a soup where a habanero totally drowned any other flavour out so I took an after nibble sometime later and in fact after actually trying Pak Choi raw on its own again, has reminded me how wonderful this cabbage can be in a salad and with my new style of salad I am sure it will go down a treat for tomorrows testings. Also known as Bok Choy and several other names this leafy wonder is booming full of nutrients containing high levels of Vitamins A, C and B-6 whilst also gifting small amounts of Iron and Magnesium, providing us with a healthy boost of brain and body functioning power! I can roll with that, it is such a handsome veggie after all!